Kick off your visit on the 13th (Fri): contemplate the waterfront views at Saint Lucia Estuary and then take an exotic tour of a safari tour. Find out how to plan St Lucia trip without stress by asking Inspirock to help create an itinerary. Amsterdam, The Netherlands to St Lucia is an approximately 24-hour flight. The time zone difference moving from Central European Time to South Africa Standard Time is 1 hour. Finish your sightseeing early on the 13th (Fri) to allow enough time to travel to Hoedspruit. You'll discover tucked-away gems like Moholoholo Wildlife Rehab Centre and Hoedspruit Endangered Species Centre. Go for a jaunt from Hoedspruit to Kruger National Park to see Game drives at Phalaborwa Gate in Kruger National Park about 1 hour away. The adventure continues: relax and rejuvenate at some of the best spas, view the masterpieces at Ukuthula Designs, look for gifts at Kumbaya Home Decor, and browse the exhibits of Kingfisher Gallery. To see maps, more things to do, and more tourist information, read our Hoedspruit online trip itinerary planner . Traveling by combination of taxi and flight from St Lucia to Hoedspruit takes 5 hours. Alternatively, you can do a combination of taxi, flight, and bus; or drive. In September, daily temperatures in Hoedspruit can reach 32°C, while at night they dip to 15°C. Wrap up your sightseeing on the 16th (Mon) to allow time to drive to Graskop. 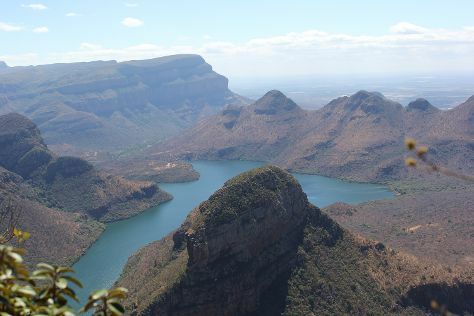 Start off your visit on the 17th (Tue): explore the striking landscape at Bourkes' Luck Potholes, stroll through Wonder View, explore and take pictures at Panorama Route, then look for gifts at Ponieskrantz, and finally make a trip to Panoramic Route Mpumalanga. To find more things to do, ratings, traveler tips, and other tourist information, you can read our Graskop trip site . Getting from Hoedspruit to Graskop by car takes about 2 hours. Other options: do a combination of bus and taxi. Expect a daytime high around 30°C in September, and nighttime lows around 16°C. Wrap up your sightseeing on the 17th (Tue) to allow time to drive to Nelspruit. Eschew the tourist crowds and head to Elephant Whispers and Sudwala Caves. Go for a jaunt from Nelspruit to Kruger National Park to see Safaris about 1h 20 min away. 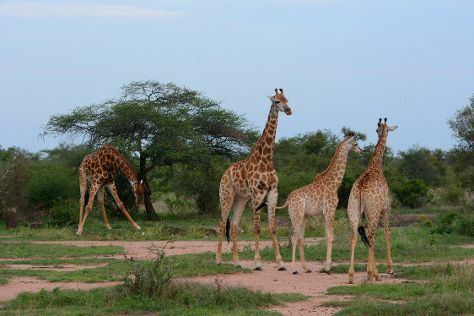 Spend the 18th (Wed) exploring nature at Kruger National Park. There's more to do: admire the natural beauty at Lowveld National Botanical Garden. To find photos, maps, where to stay, and tourist information, use the Nelspruit tour itinerary tool . You can drive from Graskop to Nelspruit in 1.5 hours. Another option is to do a combination of taxi and bus. September in Nelspruit sees daily highs of 30°C and lows of 16°C at night. Finish up your sightseeing early on the 20th (Fri) so you can travel to Graaff-Reinet. Eschew the tourist crowds and head to Valley of Desolation and GRT Brewery. You'll find plenty of places to visit near Graaff-Reinet: Nieu-Bethesda (First People Centre at The Bethesda Art Centre, Dustcovers, & more). 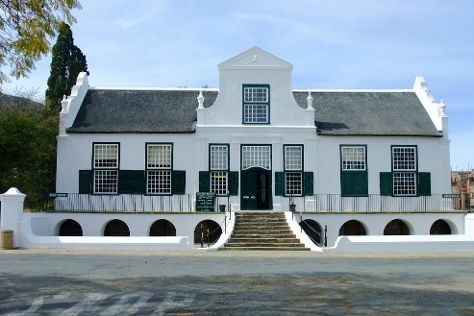 There's much more to do: examine the collection at Urquhart House Museum, stroll the grounds of Graaff-Reinet Cemetery, take in the architecture and atmosphere at Dutch Reformed Church, Groot Kerk, and explore the world behind art at Hester Rupert Art Museum. To find traveler tips, other places to visit, photos, and more tourist information, refer to the Graaff-Reinet trip planner . Do a combination of flight and bus from Nelspruit to Graaff-Reinet in 9 hours. Alternatively, you can drive; or take a bus. Cap off your sightseeing on the 23rd (Mon) early enough to go by car to Knysna. Discover out-of-the-way places like Garden Route (Tsitsikamma, Knysna, Wilderness) National Park and Knysna Lagoon. Venture out of the city with trips to The Crags (Lawnwood Snake Sanctuary & Jukani Wildlife Sanctuary), Storms River Suspension Bridge (in Tsitsikamma National Park) and Outeniqua Transport Museum (in George). The adventure continues: tour the pleasant surroundings at Wilderness Beach, stop by Goldsmiths Knysna | Bespoke Jewellers | Diamond Dealers, examine the collection at The Motorcycle Room, and pause for some serene contemplation at Holy Trinity Church. To see reviews, where to stay, other places to visit, and other tourist information, go to the Knysna trip site . Drive from Graaff-Reinet to Knysna in 6 hours. Alternatively, you can take a bus. In September, plan for daily highs up to 22°C, and evening lows to 13°C. Wrap up your sightseeing on the 26th (Thu) early enough to drive to Hermanus. Explore hidden gems such as Cape Agulhas - Southernmost Tip of Africa and Panthera Africa - Big Cat Sanctuary. You'll find plenty of places to visit near Hermanus: Stony Point Penguin Colony (in Betty's Bay) and All Saints Church (in Bredasdorp). 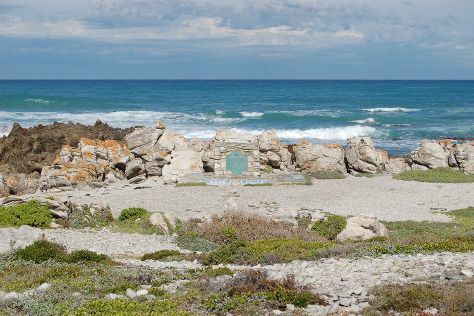 There's still lots to do: enjoy the sand and surf at Grotto Beach, sample the tasty concoctions at Honingklip Brewery & Restaurant, take in the pleasant sights at Rotary Way, and tour the pleasant surroundings at Voelklip Beach. To see where to stay, maps, traveler tips, and other tourist information, refer to the Hermanus travel route tool . You can drive from Knysna to Hermanus in 5.5 hours. Another option is to take a bus. Expect a daytime high around 23°C in September, and nighttime lows around 11°C. Wrap up your sightseeing on the 29th (Sun) early enough to drive to Cape Town. Explore hidden gems such as Wine Tours & Tastings and Twelve Apostles. There's still lots to do: take some stellar pictures from Cape of Good Hope, stroll through Boulders Beach, cruise along Chapman's Peak Drive, and take in the waterfront activity at Victoria & Alfred Waterfront. To find maps, reviews, other places to visit, and more tourist information, use the Cape Town trip itinerary maker tool . Drive from Hermanus to Cape Town in 1.5 hours. Alternatively, you can do a combination of taxi and bus; or do a combination of taxi and train. In September, plan for daily highs up to 23°C, and evening lows to 11°C. Finish up your sightseeing early on the 2nd (Wed) so you can travel back home.